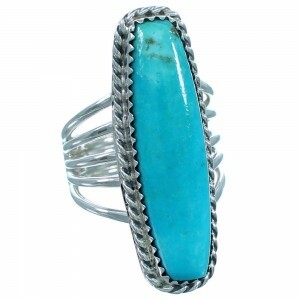 One of the most common pieces of Native American Jewelry found in the Southwest and most of North America is the ring. 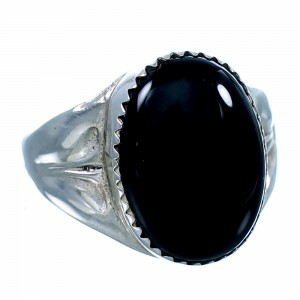 Here at SilverTribe we are proud to offer a vast selection of Native American rings to fit any need or desire. Whether you're looking for a contemporary onyx ring, or are more interested in the style of Navajo rings, we have the perfect selection for you. 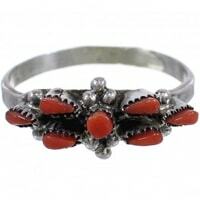 In American Indian cultures the Ring carries a vast array of meanings. A ring can be used to convey status, clan affiliation, have deep spiritual meanings, and can be used as currency or even wedding bands. Some believe Native American wedding rings can be traced back to the early beginnings of their history and have become one of SilverTribe's most popular items amongst many of our customers. Certain tribes also use stones. 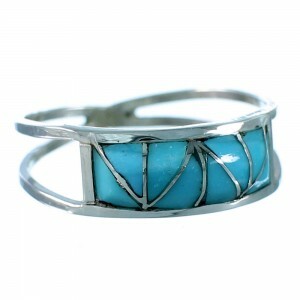 One of the most commonly used stones by the tribes is turquoise. The detail and artistry can vary from simple elegant designs to extremely complex patterns and arrangements using the combination of stones and metals. 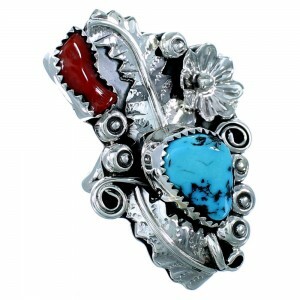 Some of the more notable cultures that have been producing breathtaking Native American Rings for centuries, would be the Hopi, Zuni, and Navajo Tribes. Each tribe is known to have their own style that has been taught to new generations from the old. This cycle has been taking place since the American Indians began making jewelry. The mixing of the different cultures and tribes has brought to life new creations and blends of traditions, which are seen in the many different styles of rings. American Indian rings are now commonly seen in the region, and are worn for both traditional beliefs as well as beautiful fashion statements. 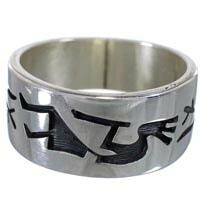 The Navajo Tribe is credited with advancing the craftsmanship and artistry of Native American rings by incorporating and adapting techniques and designs learned from early Spanish explorers. Shortly after contact with Europeans the Navajo Silversmiths began mastering the process of soldering and working with silver. 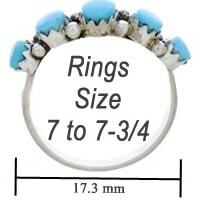 This was a major breakthrough that allowed the complexity of Navajo rings and jewelry to flourish. With the advent of soldering, it was possible to incorporate stone settings and produce more intricate Native American rings. The stone settings can vary, one stone can be used as a centerpiece or many settings can be used to make a cluster design ring or a flower ring. 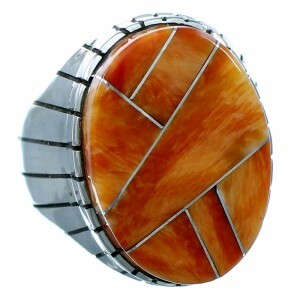 A wide array of stones and shells are used in Native American Navajo rings. Turquoise rings are the biggest example of the Navajo rings that feature stones. Some of the more commonly used stones are oyster shell and coral, but many more are used to create some of the most amazing Native American rings. 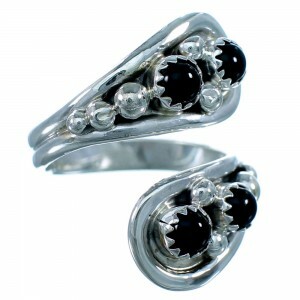 Our oyster rings are a great option for anyone. 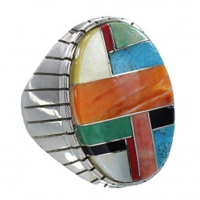 Today, Navajo rings use stones like opal, gaspeite, and onyx, to name just a few. With the combination of the different stones and colors, some of the most beautiful Navajo rings are handmade in a multicolor or multi-stone setting. 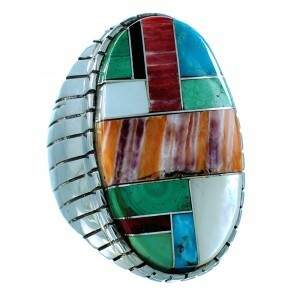 Hopi Native American Indian rings are prized for their amazing Overlay designs. 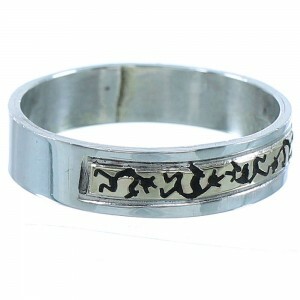 Overlay is an art in which the Silversmith uses two layers of silver, one as the base and one with cut out patterns and designs that depict everything from the daily life of the Native people to their mythology. The designs that are normally seen include Animals, such as the Bear, Turtle, and Eagle. 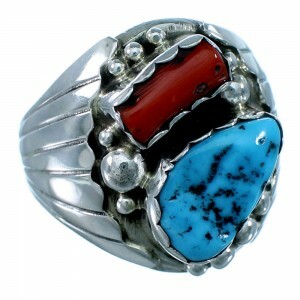 Forces of nature such as water, fire, and wind have their own Hopi patterns and are also commonly used in rings. 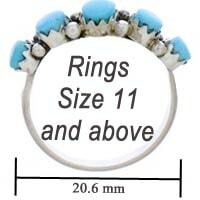 Our Hopi Rings have attracted attention from men and women all over the world. 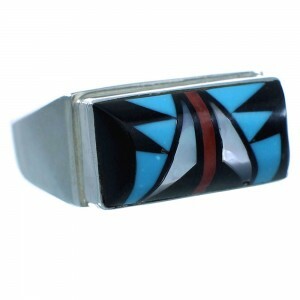 The Zuni Native American rings consist of some of the finest inlay and needlepoint work seen anywhere in the world. Inlay is the process of cutting shells and stones to fit together seamlessly, sometimes with silver lines or traces in between. Needlepoint is multiple small stones with pointed ends that are set close to one another to create a stunning look. 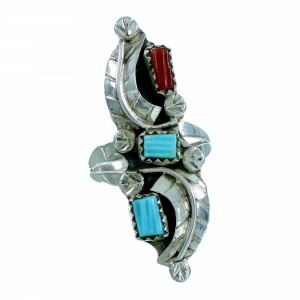 Zuni rings and the different multicolor rings are admired everywhere. 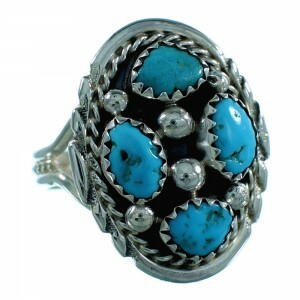 Different Native Zuni artists create some of the most dazzling rings seen in the market today. 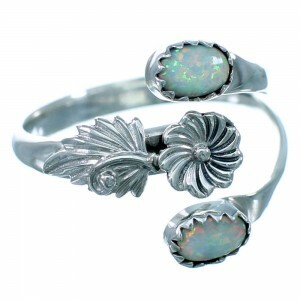 In addition to our wide selection of Native American rings, SilverTribe also carries a large inventory of traditionally themed and fashion rings for men and women with opal rings and various gemstones in different settings. We have a huge selection of rings for women and men. Our excellent prices and specials are often thought of as wholesale. 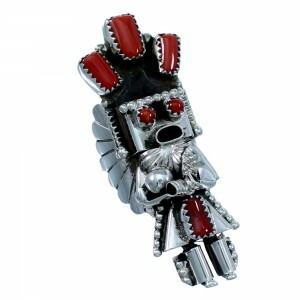 We offer an unbelievable selection of Native American rings at the best prices in the industry. From intricate multicolored stonework to simple and elegant styles, our rings come in a wide variety for any number of occasions. While nearly every one of our Native American rings is perfect for any occasion, casual or black-tie, more customers are choosing our rings for their wedding or engagement. 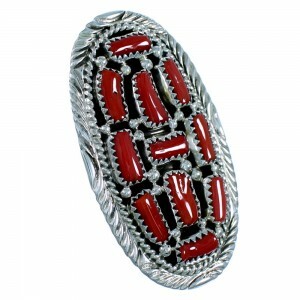 This shows just how versatile and timeless American Indian rings can be. Consider a beautiful malachite ring or a simple, yet elegant lapis ring. Our growing selection on amber rings is a customer favorite. It takes millions of years for amber to form and while many consider it a stone, amber is actually fossilized tree resin. We also carry tiger eye rings. This stone displays marvelous depth and color and is versatile enough to suit any wardrobe. For a simple and very elegant option, browse our selection of howlite rings. Take a look at our variety of rings to find the right one for you. Keep coming back; our collection of American Indian rings is constantly being updated.